Cathy’s carefree cruise is turned into a tour of duty — complicated by too many beaux. 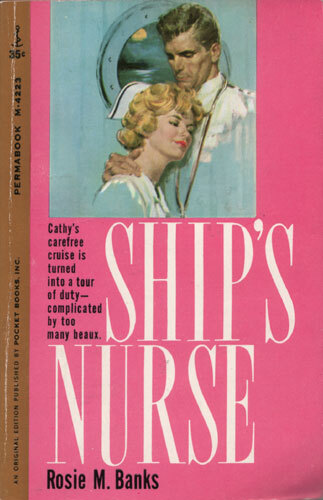 When her aunt, the ship’s senior nurse, breaks her ankle, Cathy volunteers for duty. The ship’s doctor drinks tea, secretly laced with rum, to forget painful memories. His young assistant yearns to leave the ship to start his own practice. A stowaway — on a last fling before settling down to responsibility — is discovered. A raucous Texas dowager drinks too much and her gigolo-husband has a roving eye. Cathy herself is faced with an oversupply of admirers. An innocent flirtation and sudden tragedy make Cathy realize the depth of her dedication to nursing — and where her heart is.